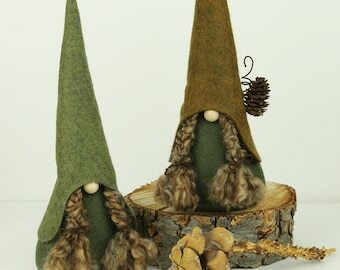 EDWYRD is BACK in stock at The Gnome Makers with his wonderful SOFT-LEATHER hat! 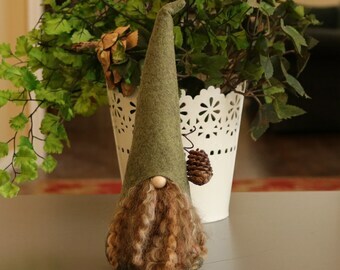 EDWYRD the AMUSED is a woodland gnome who spends his days in search of precious stones and gems. You can find him scavenging underneath bridges, behind trees, and in the cool dark groves of the forest. He is approximately 7" tall (with hat bent) is sewn and stuffed. He has a whimsical and unique. I've received so many comments on the design! 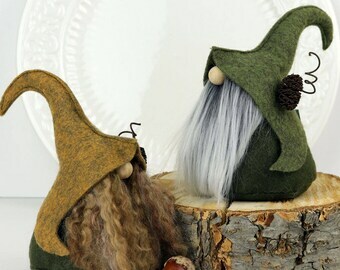 Body is dark forest green with a golden soft-leather hat that bends and your choice of beard color. Order with or without a pine cone. PERFECT GIFT! Comes packaged in clear cellophane along with a tag that tells who he is, which makes it perfect for gift giving. 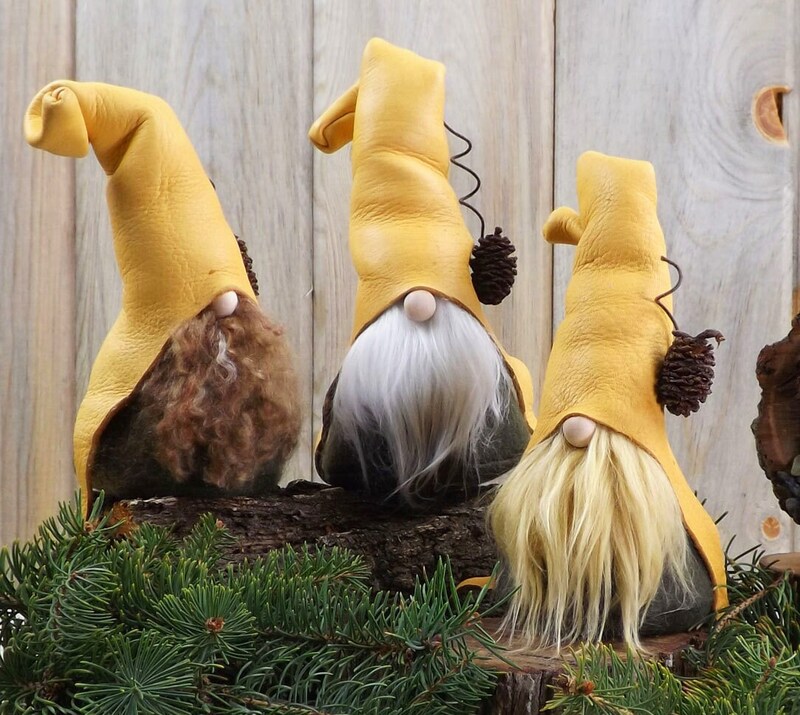 Please allow up to 3 days for your gnome to be made BEFORE IT SHIPS. Each item is individually handmade with lots of care and detail. 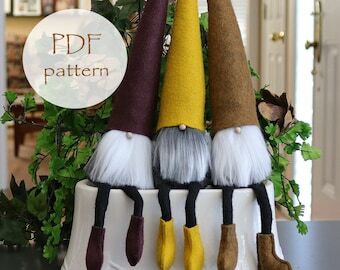 As with all handmade pieces, each will vary slightly from the photo and that is the beauty of my handcrafted gnomes and other delights. Image colors may also vary due to differences monitors/iPhones/etc. I am so pleased with my adorable gnome! Every bit as cute and well-made as he appears in the photos. 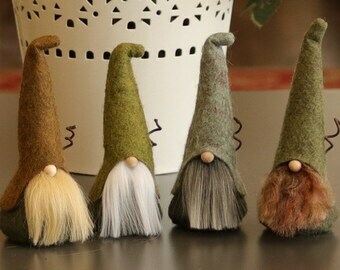 I totally recommend purchasing from The Gnome Maker. I really love Edwyrd! He really adds magic to my home in his rustic, woodsy style! Very pleased! He came in a reasonable amount of time, and was beautifully packaged in custom packaging, with handmade tags. Nice touch! Very pleased! 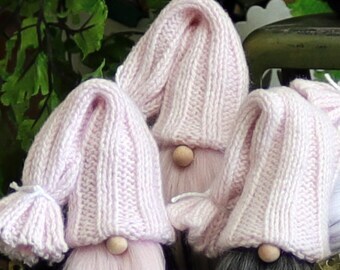 I've already made three different styles with this adorable pattern. 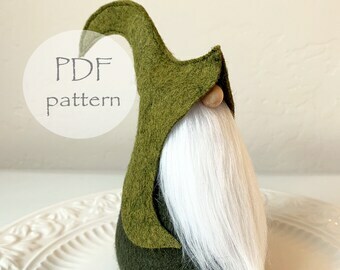 The hat is just beyond adorable and the pattern is well-written. Thank you for such a fun craft. Yes! Depending upon your location you may receive a refund on the shipping when you order multiple items. I will refund the difference when your order is shipped. 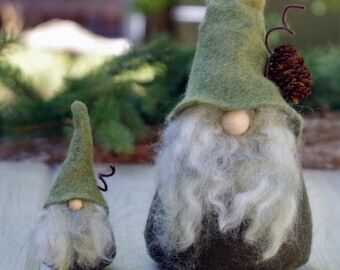 All gnomes, pillows, etc., are packaged in a clear cellophane bag, tied with a brown string, with tag. Gnomes also have their personal story attached. If your order is a gift and shipped to the recipient I'd be happy to attach your greeting and signature. Please add it to the comment section when you check out. Yes! 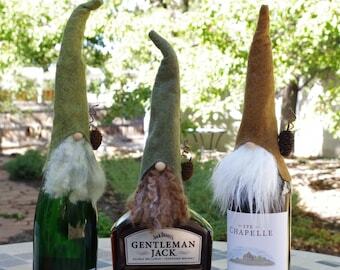 Just convo me with the number of gnomes you're interested in and where you live. I'll get back with you on the cost of shipping. 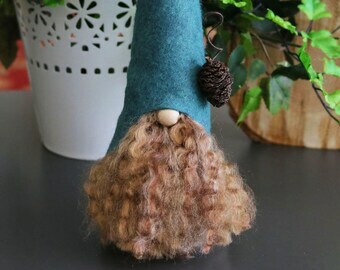 Can you make a LARGER GNOME than the one shown on the listing? Yes! 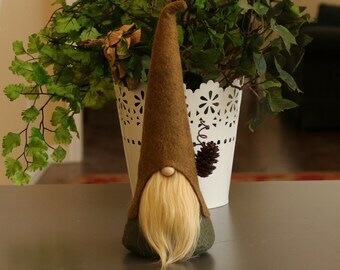 Go to the listing of the gnome you like and request a custom order. Let me know how large (tall) you would like the gnome and I'll get back with you on the details and price. Beards can be made from a number of materials. 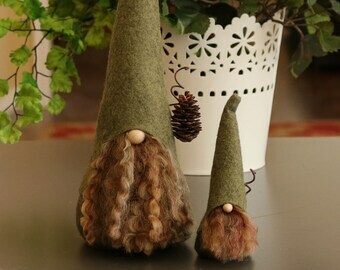 Please check the listing to ensure the type of beard the gnome and gnome toppers are made with. 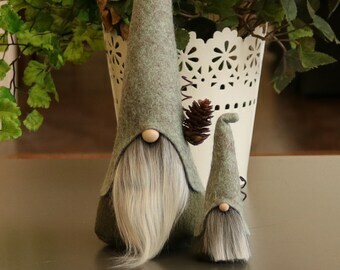 Gnomes are for decoration and are not suitable for children under 3. Although they are extremely well made they need tender loving care to keep them nice year-after-year.